W. W. Norton & Company, 9780393088687, 288pp. In a voice that is wry, disarming, and totally candid, Sandra Tsing Loh tells the moving and laugh-out-loud tale of her roller coaster through "the change." This is not your grandmother's menopause story. Loh chronicles utterly relatable, everyday perils: raising preteen daughters, weathering hormonal changes, and going through the ups and downs of a career and a relationship. She writes also about an affair and the explosion of her marriage, the pressures of keeping her daughters off Facebook while managing the legal and marital hijinks of her eighty-nine-year-old dad, and a despairing withdrawal to a tiny cabin where she combined wine and Ambien, paralyzing her arm into a claw. In one outrageous chapter, a hormonal Loh finds herself trekking to her preteen daughter's school to confront a ten-year-old bully half her size. In another she attempts to subsist on only zero-calorie noodles and the occasional fat-free yogurt in a hopeless effort to vanquish added midlife weight. In The Madwoman in the Volvo Loh speaks hilariously and honestly about her life as a mother, a daughter, and an artist. 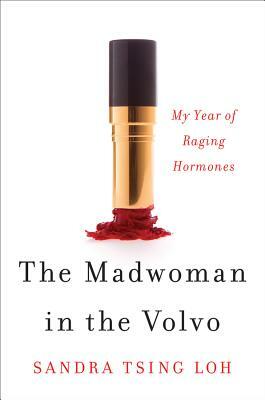 She recounts her journey through a tumultuous time of life, trying to maintain appearances during an epic hormonal--and that means physical, emotional, mental, and spiritual--change. The upbeat conclusion: it does get better.